Ted Spaetgens, P. Eng., mechanical engineer, received his impressionable introduction to machines and engineering as a little boy when his dad, locomotive engineer for the CN Railway, would take him to the big roundhouse where 15 or more monstrous freight and yard steam locomotives were lined up over their maintenance pits and where the steam-driven turntable would puff away and deliver engines and tenders to their own spoke-like bays. Later on, Ted’s dad would let him ride in the locomotive cabs with their awesome fireboxes, gauges and levers. As a teenager Ted became fascinated with the mechanical wizardry of the Wahlschart valve – gear mechanisms found on many CNR locomotives, and his later mechanical engineering studies in university under a professor who was also a steam locomotive designer, added further fuel to his passionate interest in machine design, kinematics and stress analysis. As a graduate engineer Ted worked at Boeing Aircraft in Vancouver where the Catalina (PBY-5) flying boats were being built. In 1945 he joined Vivian Diesels Limited (founded by Will Vivian) where four ranges of their own 4-cycle in-line supercharged engines were designed and built – the largest being 10 cylinder 9″ bore 12″ stroke. The young engineer spent the next 5 years, under the guidance and encouragement of chief engineer Bill Haggerty, immersing himself deeply in the investigation of torsional vibration problems in engine systems (marine propulsion and power generation), including crankshaft design, pendulum de-tuner design, crankshaft balancing, axial and lateral vibration of crankshafts, experimental/analytical determination of engine torque harmonics, torsional vibration of engine entablatures, cylinder valve dynamics, fatigue stress analysis of all major engine components, combustion research, and engine efficiency studies, lateral vibration of propeller shafting, and ship hull vibration and vibration neutralizer design. In 1949 Spaetgens developed a break-through mathematical methodology (published by American Society of Mechanical Engineers in 1950) for solving forced-damped torsional vibration within the popular Holzer format by using complex numbers. 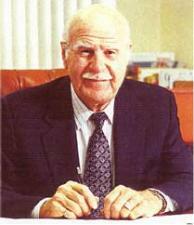 In 1950 he set himself up as an independent vibration consultant with special emphasis on torsional vibration. He quickly developed a reputation as the man to call when an otherwise sound ship experienced failure of drive train components time and time again. Most of his work in the early days was corrective, as there had developed in post war II, a global epidemic of failures in crankshafts, gear boxes, propeller shafts, etc., and he was likened to a detective, sifting the evidence for clues until he found the root of the problem. Like Agatha Christie’s detective Hercule Poirot he didn’t have to leave his office to solve the mystery, provided he could be supplied with all the clues in the form of detailed drawings of the vessel and particulars of all the propulsion equipment. To speed up the task of analyzing complex propulsion systems, a powerful computer program, based on Spaetgen’s 1949 work, was developed that has gone through decades of revision since it was first implemented in the mid 1950’s. As the results of his analyses spreading through the North American marine community, including the U.S. Navy and the U.S. Coast Guard, the focus of his practice moved toward preventative torsional vibration work, and today Ted Spaetgens is more likely to be called in at the design stages rather than – like one case in the old days – when a propeller shaft of a freighter snapped and the propeller dropped in mid-ocean. In 1956 Spaetgens founded Lo-Rez Vibration Control Ltd. to build the patented vibration-damping and control devices he had designed. These include torsionally-soft steel-spring flexible power transmission couplings (up to twelve feet in diameter), steel-spring vibration isolators, crankshaft viscous torsional vibration dampers, and harmonic pendulum de-tuners. Integrated Lo-Rez Soft Mount isolation systems have become a common feature in high-performance vessels, such as luxury yachts, patrol craft, research vessels, excursion vessels, casino vessels and – in the last few years – in tug boats, as awareness of the damage caused to workers by continual exposure to noise and vibration in the workplace has increased.